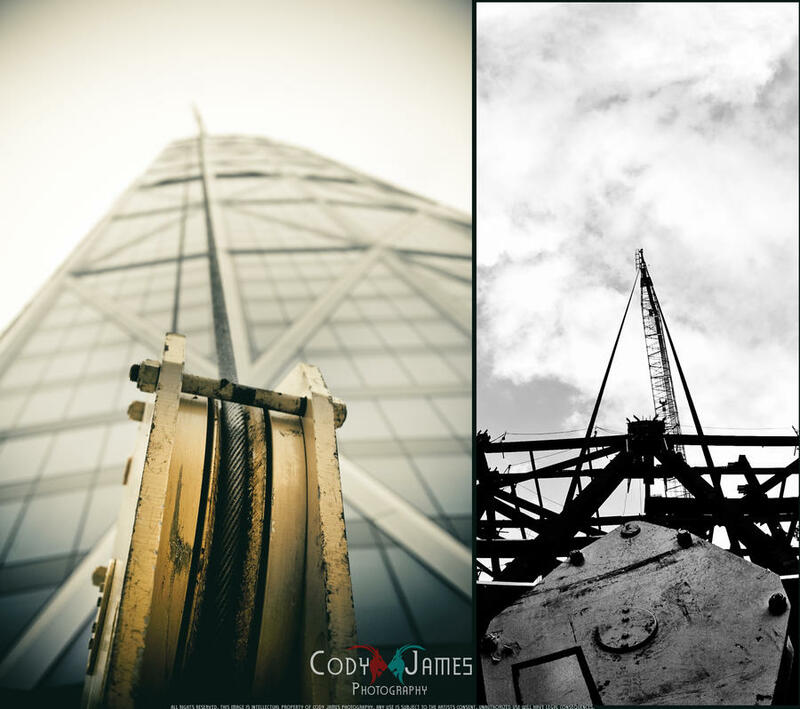 Calgary Commercial Photographer Cody James Captures The Bow in Downtown Calgary with some before and after Commercial Photography. With a tentative ‘2011’ completion date I figure I’d take a little ‘after’ shot of the bow, the original (in Black and White) was taken in May of 2008. To my surprise the crane was still there in the exact same location, however the scope of how it’s setup has drastically changed! Update! Here’s a few others shots I’ve taken that feature the Bow in them. 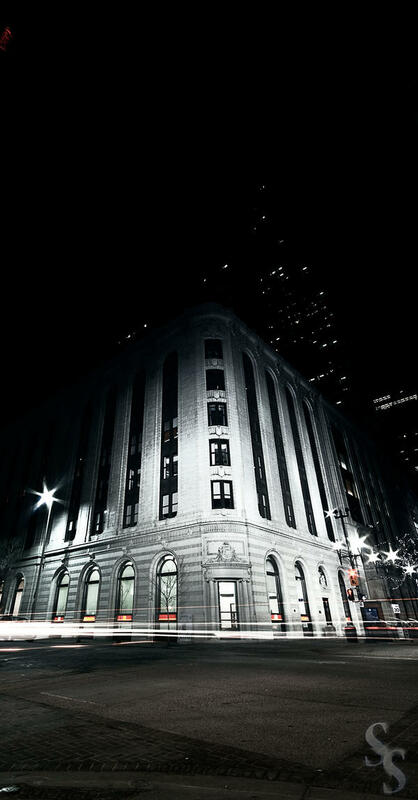 I haven’t dabbled much in architect photography, but I absolutely love the creativity and styles some photographers pull out from architecture. 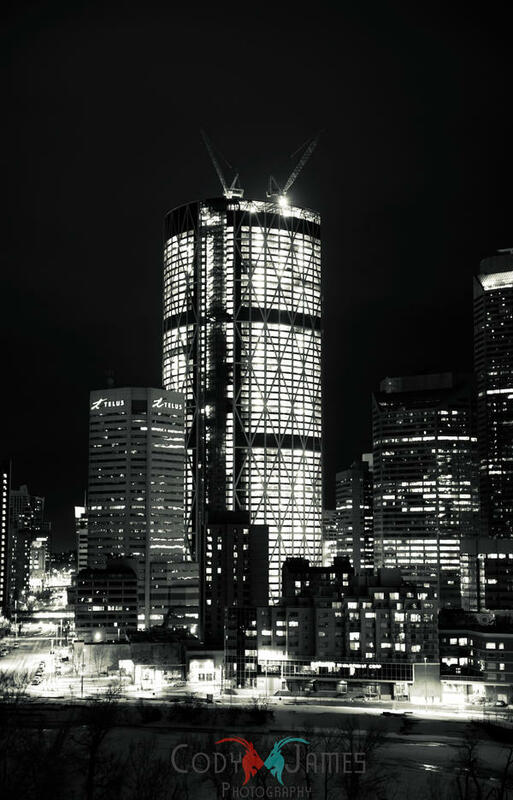 This shot was taken almost a year ago (Feb 2009) it’s of the CIBC building in downtown Calgary. It was actually taken for a photography contest at a website I used to frequent and the original submission was in black and white (as per the contest rules) once the contest was done I resubmitted this in colour as I liked that version more. 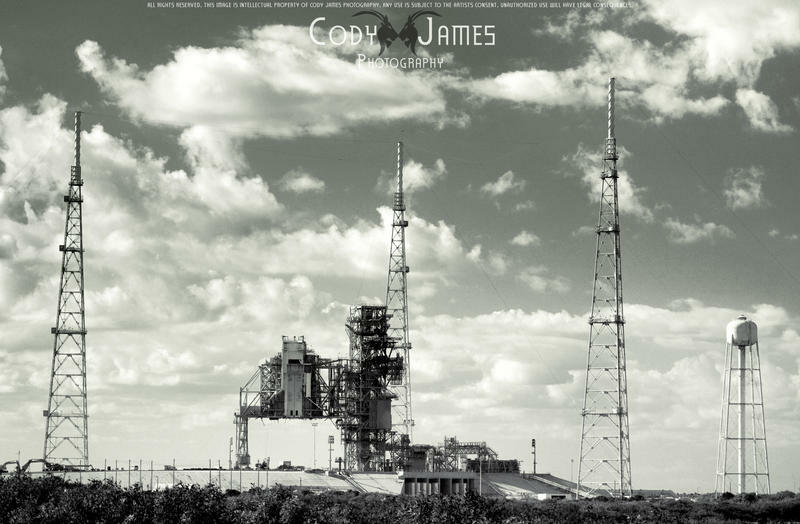 Posted here not to long ago this is my image titled ‘Launch’ it’s the LC 39B launch station at Nasa Kennedy Space Center and this particular launch site has been inactive since 2007.